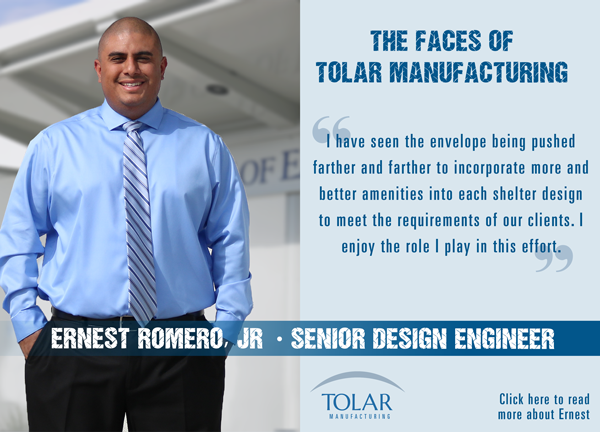 As a Senior Design Engineer for Tolar Manufacturing Company, Carlos feels a sense of pride knowing that he is doing meaningful work to help people travel throughout their communities in North America. 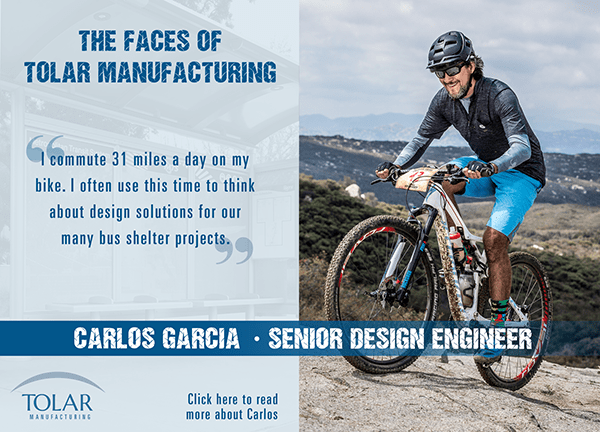 Learn more about Carlos . . .
Ernest Romero, Jr. is no stranger to public transit. He grew up in Ontario, California and fondly remembers sitting at bus stops under the shade of a shelter waiting for the bus to take him to school and around town. Now, Ernest designs those very bus shelters! Learn more about Ernest. . .